The Shuffle features allows you to randomize the order in which artworks in your playlists are displayed. You can also shuffle a collection from Art Club - so if you find one that you’re loving that day and don’t want to go in order, simply shuffle the collection. 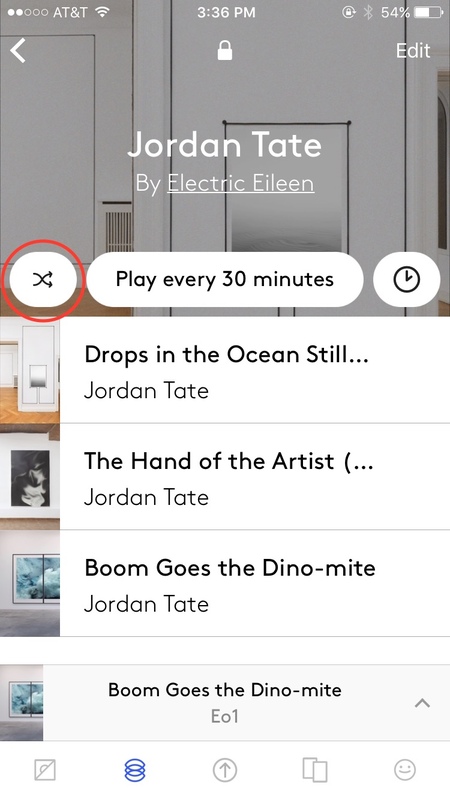 To enable Shuffle in the EO app or web browser, tap the Shuffle button to the left of the ‘Play’ button, depicted by two tiny criss-crossing arrows. If you want to change the pace of your playlist shuffle, click the Pace button.